Interactive whiteboards are both exciting and intimidating. Using interactive whiteboards in classrooms is becoming a regular practice now. The creative side of the interactive whiteboards fantasizes users (instructors/presenters) and encourages them to explore new possibilities with the content resources, available curriculum, and instruction design. Even as, possible mishandling of interactive whiteboards, open control and monitoring, and technology mastering, worries many instructors. Interactive Whiteboard (aka IWB) provide instructors with a complete platform to explore, teach, share, deliver, and instruct students through interactive pedagogical instructions and flow of information in the form of compiled videos, PowerPoint Presentations, images, documents, and Web resources, etc. However, uncertainty about the use and best practices of interactive whiteboards limits them from exploring and utilizing the right potential of the interactive boards. Do seek expert help in installation of Interactive whiteboards. It is one of the top best practices, let experts (manufacturer support team/in-house technical support team) install, fix, and mount the interactive whiteboard and supporting equipment such as multimedia projector, document camera, etc. Do allow free flow of information. Let students participate in the discussion. Encourage them to share their ideas on-screen and appreciate their interactive explanations, drawings, and notes, etc. Do not stop students from touching the whiteboard. Do use multimedia Projector. It is recommended to use multimedia projectors with the interactive whiteboard to allow multimedia content sharing and collaboration in the classroom. Multimedia projectors allow you to display and interact with desktop content, resources, and software applications directly through the board. Do save whatever you teach. Whether you are a mathematics teacher or a language instructor, save whatever you teach for future reference, notes distribution, or online publishing. Recordings also allow you to discourage manual note taking in the classroom that causes attention deficit and tiredness. Do explore interactive whiteboard and share your discoveries with Peers. It is perfectly right to experiment different approaches with interactive whiteboards. Explore, experiment, and identify all the time you teach with an interactive resource. Also, share your discoveries with your colleagues or peers and learn from their experience too. That will make the technology mastery faster. Below are some practices to avoid when using interactive whiteboards. Don’t be afraid of using interactive whiteboards. Don’t wait for training to start using or exploring interactive whiteboard. Use them as you want. Find new ways to make learning more effective and exciting for students through the whiteboard. Don’t instruct with your back to the students. Avoid settings where you are facing the interactive board screen and have your back to the students. Speak to students face to face, instead of talking to the board. Use your PC as a teleprompter and collaborate using the PC screen instead. Don’t make a shadow on the whiteboard screen. Use short throw projectors to ensure that you are not making a shadow on the interactive whiteboard screen with your body. Adjust your projector to the classroom size and maximize visibility and clarity for the students. Don’t use Fingers to point or highlight a part on the whiteboard. Make use of electronic cursor to emphasize and highlight a part on the whiteboard screen. Don’t turn off lights when teaching. To increase visibility of content, some instructors turn off the lights during instruction delivery via a projector. This is not advisable. It doesn’t increase engagement but rather puts students into a sleepy environment. Keep lights on so that you can see your students and observe their behavior. For more information, please visit us at www.electronicwhiteboardswarehouse.com or contact our support team at sales@electronicwhiteboardswarehouse.com or 888.522.8975. Polyvision Eno Interactive whiteboard is a breakthrough in the whiteboard industry and is the top three in interactive whiteboard. 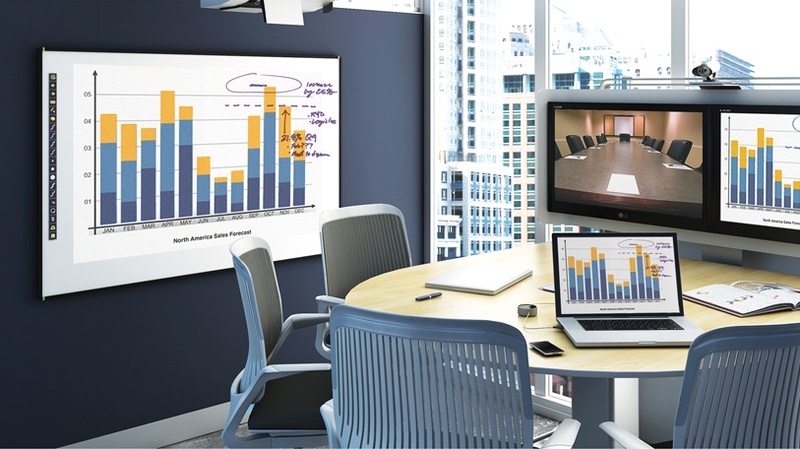 This whiteboard uses modern technology for educational purposes and replaces traditional marker with magnetic technology using no ropes, cables or expensive equipment associated with other whiteboards in the market. You can bookmark, use multimedia, ink, or go to the Internet on a virtually indestructible surface made of ceramic steel and use your multimedia projector to project your computer screen onto the board. This allows you to navigate through documents, presentations or web pages directly from your memory card while conducting classes and / or notes with a normal pen dry-erase markers or interactive electronic markers. With a single click, send and save your notes, print them, upload them to a server or email them. You can even recharge the meeting tomorrow morning and us the notes of the previous meeting’s notes as reference. Institutions in US are challenged to deliver education to a diverse audience, from different background and geographies, meet expectations at all levels, participate effectively in knowledge sharing as well as professional growth, and reduce the cost of education. The increasing challenges and requirements in education tend to the adoption of automated learning technologies and tools such as interactive whiteboards, Copyboards, Projectors, Classroom clickers, and document cameras, etc. These cutting-edge educational technologies not just rejuvenate learning in classrooms but these technologies also impact wider aspect of learning through influencing both instructors and students to participate in intimate in group discussions, lectures, and conduct vibrant assessments. Several teachers criticize that student’s response during class is very poor. Many are seen sleepy during presentations. Investigations begin and the problem was detected. Some may be thinking that it was teacher mistake but in reality it was the tools used during such sessions that bored students out. Students were interviewed and the investigation completed that it was rather a technology gap between student and teacher. In this age of modern tech-savvy kids who are used to the world of animations and internet, using the standard whiteboard and pasting diagrams to present topic to students was the main reason for lack of interest. Though, it can be argued that students should be able to adjust to the environment of static presentations but as technology enters more and more student lives, a change in teaching aids must be brought in. Clickers provide a mechanism for students to participate anonymously. Clickers integrate a “game approach” that may engage students more than traditional class discussion. The study also investigated students’ perceptions of their learning using clickers versus classroom discussion. In classrooms, the use of interactive learning technologies is increasing and evolving continuously. To stay up and ahead in this competitive market, it is imperative to introduce students to the new and upcoming technologies in the market, preparing them for the future. To increase student comprehension and augment learning in the classrooms, instructors and instructional designers are using various learning technologies including Smart Interactive Whiteboards, Multimedia Projectors, Learning Management Systems (LMSs), Portable wireless Tablets, and Online Video Learning Portals, etc. 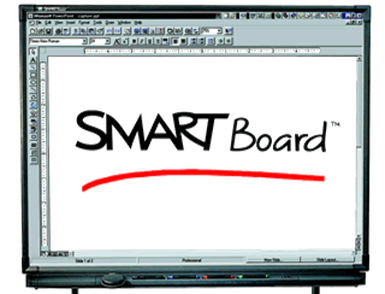 Interactive Smartboards – one of the widely used interactive learning platform – open the world up for collaborative classroom lectures, presentations, meetings, and trainings. How Interactive Smartboard technologies are influencing Classrooms?